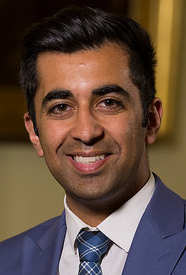 Speaking at an Anti-Slavery Day conference hosted by the Scottish government and COSLA, Mr Yousaf said: “Human trafficking and exploitation prey on the most vulnerable in society. Often hidden in plain sight and in legitimate businesses, these offences are on the increase worldwide. Since our Trafficking and Exploitation Strategy was published in 2017 we have made significant progress but businesses need to understand the risks and tackle the conditions that foster these crimes. The guidance has been developed with advice from the Corporate Group established to support implementation of the Trafficking and Exploitation Strategy. Its members include HSBC, Co-op, Multiplex Construction, SSE and the Scottish Trades Union Congress (STUC).